Friday night I spent my evening celebrating my birthday with some of my closet friends! 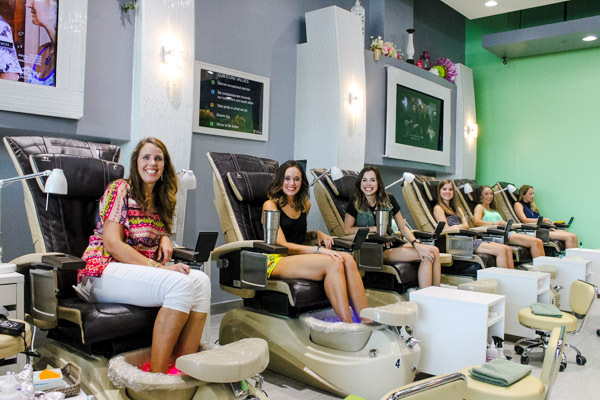 It was a pedi and salads night! Super fun, relaxed and I loved every minute of it! 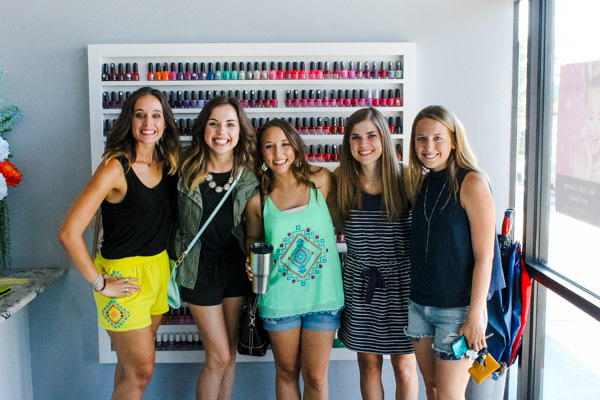 We went to Glee Nail Bar and Snappy Salads! Both were wonderful experiences! 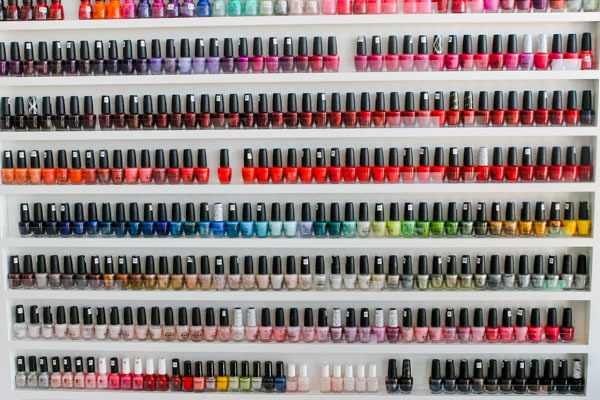 If you missed my social media post over the weekend, I was OBSESSED with this nail polish wall! On the way home I convinced my friends to do an interview video with me! It took convincing I have to add, but they caved! We came up with fun questions to ask that would show their personality. I think it's always fun to see girlfriends interact and the memory of making the video was so fun! So without further ado, my Gal Pals interview! Happy happy birthday!!! Looked like a ton of fun :) loved your gal pal interview too, what great friends! Looking forward to more, I enjoy sharing female friendships!